Homes in Draper, UT are in high demand because of the excellent location and the beautiful area. As a homeowner, you can easily access the downtown events, while enjoying a quiet corner of the valley with stunning views of the mountains. 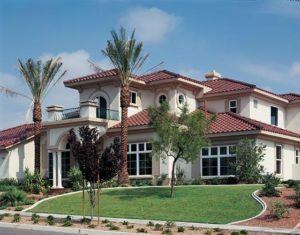 There are many luxury homes in Draper, making it an ideal location to raise a family and create the perfect lifestyle. If you live in a home that was built to be luxurious, then it is essential that you are proactive to maintain the quality of the property. Small upgrades and improvements are needed to maintain the value of your home. For example, you might consider the benefits of replacement windows and doors to improve the comfort of your living space. If you live in the foothills, then high-quality windows can be a great way to give you an excellent view of the valley. These homes are located in the perfect place to help you enjoy the beauty all around. But, old windows can block the view so that your enjoyment is limited. Choosing large picture windows for your home upgrades will open up the visibility so that you can enjoy the stunning sights that are available. You can relax on your couch while enjoying the towering Rocky Mountains and glittering lights over the Salt Lake Valley. One of the benefits that you can enjoy from replacement windows and doors is the option to improve the function of your home. Low-quality windows can be difficult to open. Over time, the window frames can warp, and the corroded tracks make it hard to slide the windows. If you find it difficult to open the windows in your home, then you can upgrade to replacement products that are easy to use. These products are durable and built using modern technology, giving you access to the best materials that are available. Improving the function of the windows not only simplifies your life, but it also boosts the security of your home. Overall, Draper is a safe place to live. But, no neighborhood is free of crime. High-quality windows will secure your home so that you can sleep easy at night knowing that your family is protected. If you love to enjoy the luxury lifestyle, then you need to make sure that you create a home environment that is comfortable and welcoming. The styles and designs that are incorporated into your home can have a big impact on the overall look and feel of the property. So, be selective of the style of windows that you choose when you are ready to invest in replacement windows. You might consider looking online to find pictures showcasing some of the popular styles in the industry. Another option is to visit our showroom where you can see some of the products that are offered. If you have pictures of the design style that you prefer, then we encourage you to contact us so that we can find materials that match your preferences. Here at HomeStar Windows & Doors, we are always focused on the satisfaction of each customer. Quality is our highest priority! We know that quality materials make it easy for you to create the luxury home that you desire. Not only will replacement windows upgrade the appearance of your home, but you can also enjoy energy efficient benefits as well. By managing the energy efficiency, you will be able to reduce your carbon footprint and protect the environment. As you look out over the valley, have you noticed the winter inversion air that traps in the pollution? Over the years, air pollution has increased as the population expands. The only way to manage air quality is if homeowners do their part to reduce their use of fossil fuels. You can install replacement windows and doors to do your part to protect the environment. How do these replacement windows help with energy efficiency? High-quality windows are designed to seal your home and prevent drafty air from coming inside. As a result, it is easier to maintain the indoor temperature when the heater doesn’t have to frequently kick on to overcome the cold draft coming through the windows.